Each year as winter approaches, I reliably find my patients asking me about the best herbal remedies to use during the cold weather months. One of the most common questions I encounter is, “What nutritional preparations can I use to help keep my family strong and healthy throughout the sniffle season?”. There's a wide array of herbs well-suited to addressing specific and general winter wellness goals, but one of my favorite, tried-and-true choices for general immune support is the elderberry. And while there are lots of ways to enjoy the healthful benefits of elderberries, one of the best loved is that longtime herbal apothecary stable, elderberry syrup. The berries, flowers, and bark of the elder (Sambucus) plant have long been prized by herbalists across the globe, and modern studies have also substantiated the berries’ ability to help maintain normal, healthy functioning of our immune system*. This makes elderberry an excellent plant ally to promote resilience during times when our body's systems are particularly stressed (the winter holidays come to mind!). So why syrup? There are a couple reasons that these berries, which can be prepared in many ways, are so often enjoyed in syrup form. One reason is practicality. Most traditional elderberry syrups are made with a good portion of raw honey, and the sugar content (combined with honey’s legendary shelf life) acts as a natural preservative for your beneficial berries. The other reason many folks choose elderberry syrup? The taste! 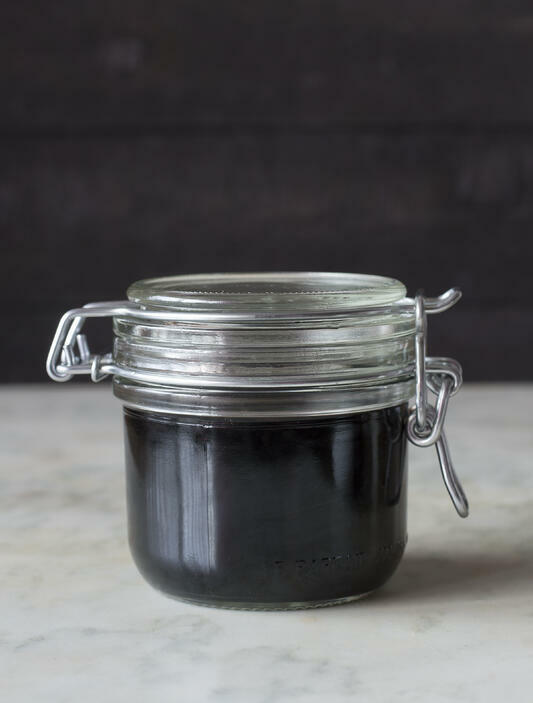 The flavor of elderberries really shines with a little sweetening, which is why variations of elderberry syrup are used for purely enjoyable reasons, such as a topping for pancakes, oatmeal, or desserts. Also, many traditional wellness-centric syrup recipes include some high-proof alcohol to further extend their shelf life. This added preservative can potentially allow you to enjoy your syrup all season long, but many people also appreciate how the honey or other sweetener helps mask the liquor’s flavor. Should I use fresh or dried elderberries? 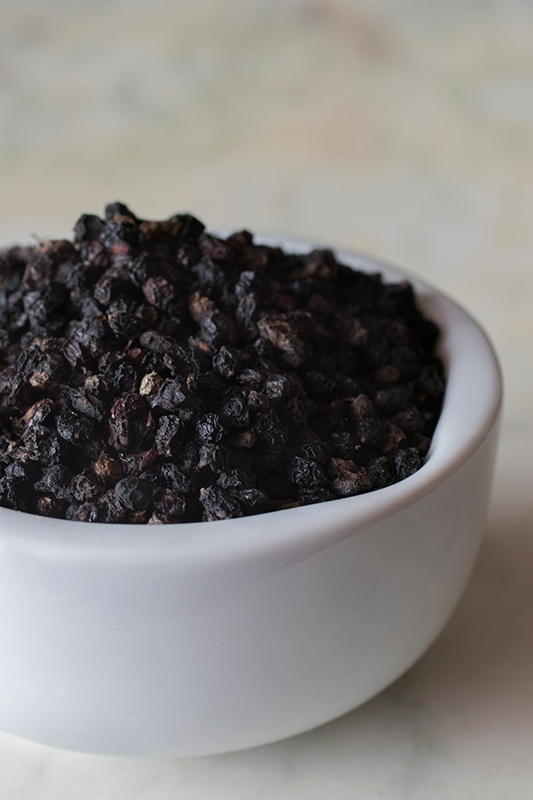 You can use fresh or dried elderberries for making syrup. I often use dried because they are usually easier to find and store year-round. If using fresh berries, use twice the amount of dried berries your recipe recommends. What makes elderberry syrup shelf stable? As we covered above, syrups that are shelf stable, meaning that they are able to sit out at room temperature for a long period of time without spoiling, require more sugar, alcohol, or a combination of the two. You're going to have to add something to discourage the development of bacteria and mold. To make this syrup more family-friendly, my recipe uses less sugar and no alcohol and is intended to be kept in the refrigerator. 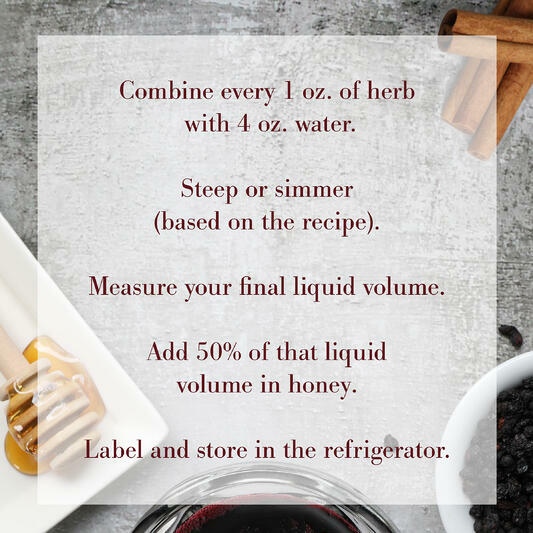 However, if you want a more shelf stable syrup, you can double the honey in our recipe or add the optional alcohol. Is elderberry syrup safe for babies? Honey acts as a natural preservative as well as a sweetener (and has other healthful properties besides), so it’s my preferred choice for my herbal syrups, but it is not recommended for children less than one year old. This is because of a rare condition called infantile botulism—sounds scary, and you don’t want it! So if you’re planning to share your syrup with a very little one, you would need to substitute either sugar or maple syrup for the honey, and again, keep it in the refrigerator. What should I cook my elderberry syrup in? When preparing your syrup, be sure to use a ceramic, glass, or other non-reactive pan that won’t off-gas. Pans with synthetic nonstick coatings release some nasty stuff when heated, so avoid them when making syrup. I’d discourage you from having them in your house to cook anything, anyway! What kind of water should I use to make elderberry syrup? Remember that your finished herbal product is only as good as the ingredients you start with, and that includes water. The water you include should be distilled, or it should be a good spring water or purified water, depending upon where you live and what you have access to. Can I add x, y, or z to my elderberry syrup? I think one of the things that beginners often struggle with when they're just learning how to make herbal products for their home is being too rigid in how they do things. There’s not just one way to make spaghetti sauce—every chef has their own recipe, each with its own little tweaks of this or that—and the same principle applies here. So be creative with your syrups! You can add vanilla (I love a slice of vanilla bean in mine), cardamom tastes really good . . . just give yourself permission to play with the flavor. All those improvisations add extra goodness anyway! What water-to-herb ratio should I use for my elderberry syrup? How much herb-to-water to use when you're making a syrup varies on a number of factors, and two big ones are the type of herb that you're using and your overall goal. For this and many other herbal syrups, I use one ounce of herb for every four ounces of water. When creating a syrup to use for therapeutic purposes, I only want to have to take a teaspoon or so a day to enjoy the effects, and this 1-to-4 ratio creates a very strong decoction that concentrates the herbal properties. 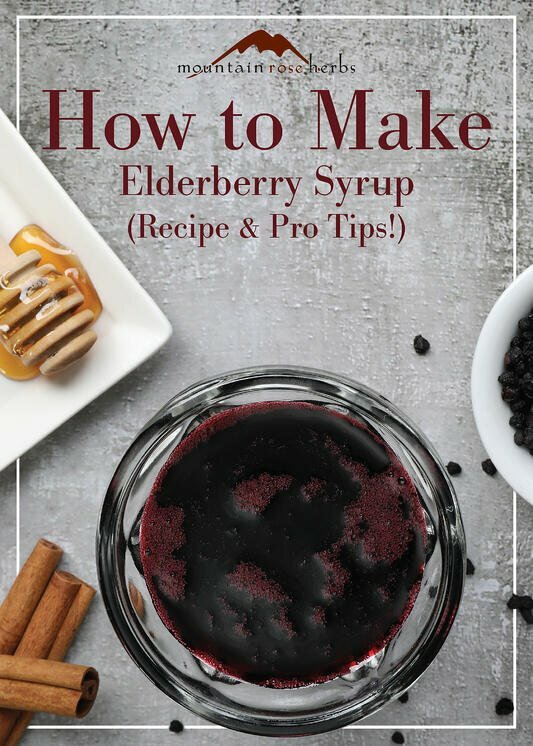 If you find a recipe for elderberry syrup that uses one ounce of elderberry to, say, 16 ounces of water, that's also perfectly fine—it just means that after you've simmered, steeped, and strained, you’ll have to reduce your liquid in half by simmering it for another 20 to 30 minutes. However, this methodology won’t work for all herbs. For example, if you were making a thyme or osha syrup using the two-step simmering process, all that heat would destroy a lot of the therapeutic properties and wonderful volatile oils in those herbs. For syrups in this category, I recommend using the ratio from our elderberry recipe to prevent herb degradation due to overcooking. Makes about 3 cups of syrup without alcohol, 4 cups with alcohol. Combine berries and herbs with cold water in pot and bring to a boil. Reduce heat and allow herbs to simmer 30 to 40 minutes. Strain berries and herbs using a funnel overlaid with doubled cheesecloth or undyed cotton muslin bag and squeeze out liquid (careful, liquid will likely still be hot!). Discard used herbs in compost. Once liquid has cooled to just above room temperature, add honey and stir to incorporate. If using vodka or brandy, add here and stir until well combined. Pro tip: This recipe is easy to multiply if you’d like to make a big batch to store or give as gifts (glass pantry jars and amber bottles are great choices!). My family enjoys a teaspoon or two of this syrup, right out of the fridge, just about every day during the sniffle season. want to spice up the basic recipe? 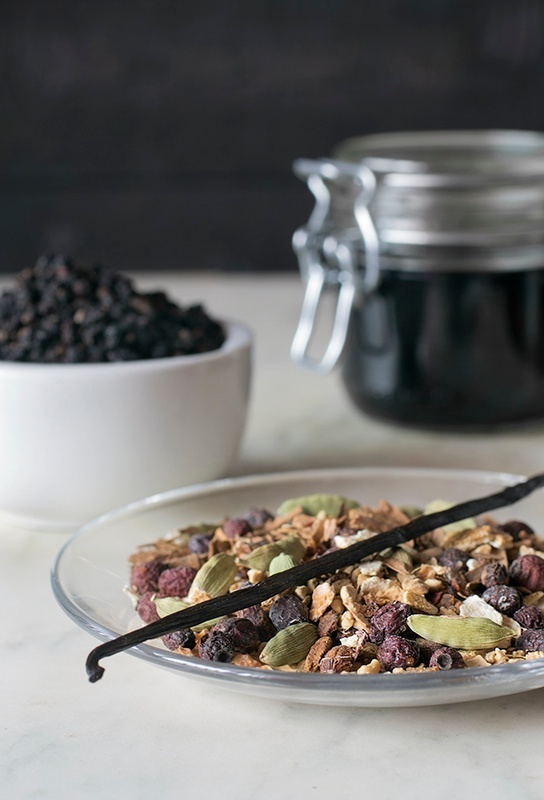 Try This Soothing Elderberry Syrup Variation! 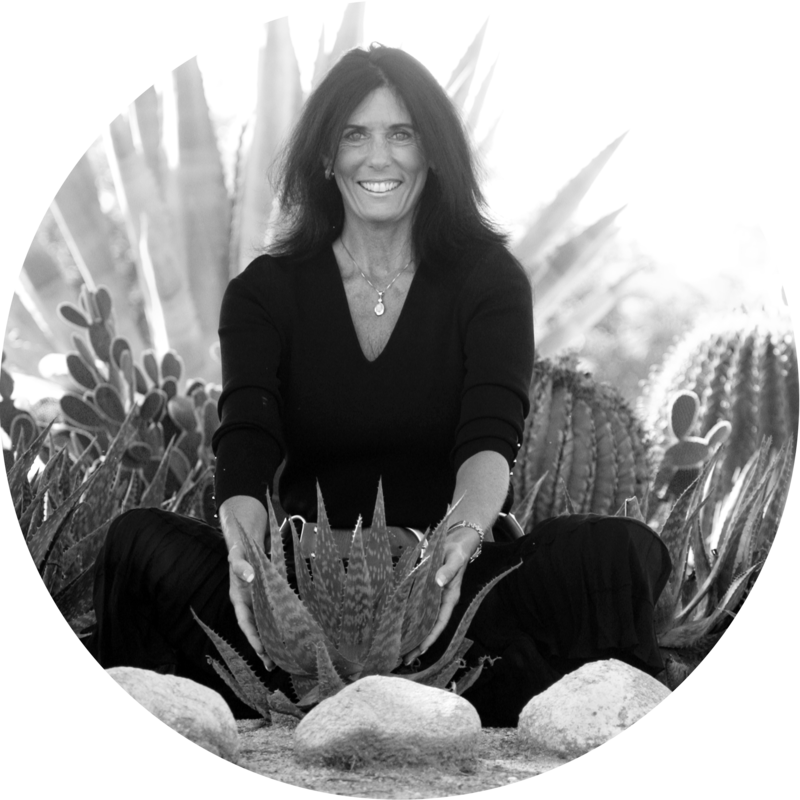 Tieraona Low Dog, M.D., R.H., began exploring the natural world more than 35 years ago as she studied midwifery, herbalism, massage therapy, and martial arts, before earning her medical degree from the University of New Mexico School of Medicine. An internationally recognized expert in the fields of integrative medicine, dietary supplements, and women’s health, Dr. Low Dog was appointed by President Bill Clinton to the White House Commission on Complementary and Alternative Medicine Policy, served as the elected Chair of the US Pharmacopeia Dietary Supplements and Botanicals Expert Information Panel, and was appointed to the Scientific Advisory Council for the National Center for Complementary and Alternative Medicine. Dr. Low Dog shares her loves of plants and natural healing with students who come from all over the world to study with her at her ranch in Pecos, New Mexico and online at MedicineLodgeRanch.com.